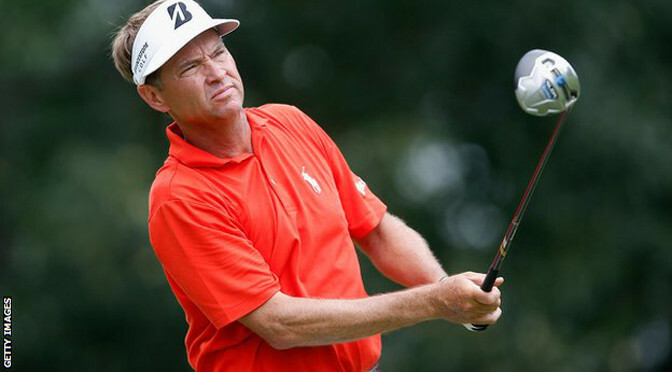 Davis Love III has been named United States captain for the 2016 Ryder Cup at Hazeltine in Minnesota. Love, 50, led the United States team beaten by a stunning Europe comeback in the ‘Miracle of Medinah’ of 2012. “I am here with the same goal as in 2012 but not as the same captain,” Love told a news conference on Tuesday. Europe, who defeated the US 16.5-11.5 at Gleneagles to retain the cup last autumn, named Darren Clarke as skipper for 2016 last week. 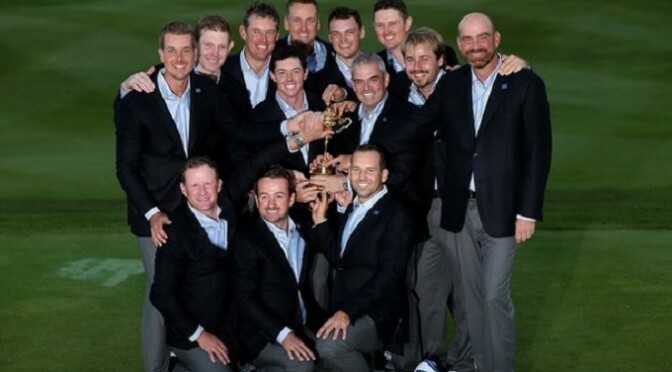 The 2016 Ryder Cup takes place from 30 September to 2 October. Love’s first act as skipper was to appoint Tom Lehman as one of his four vice-captains. Lehman, the 1996 Open champion, captained the United States in 2006 as Europe claimed an 18.5-9.5 win at the K Club. 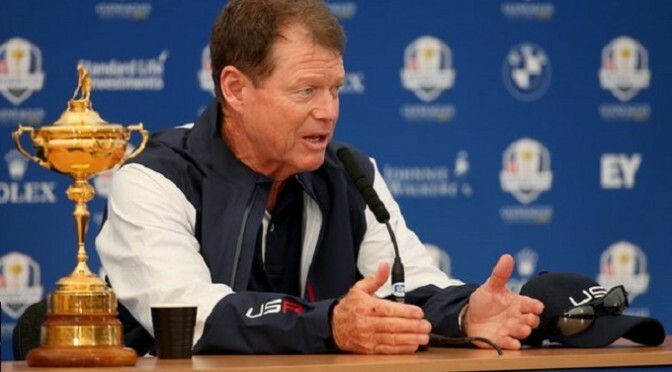 “I am thrilled to be the Team USA Captain and represent our country as we work to win back the Ryder Cup,” said Love. Love was part of an 11-man task force set up to look into all aspects of the United States’ approach to the Ryder Cup after they suffered an eighth defeat in the last 10 contests in Scotland last year. Love, who won his sole major at the 1997 PGA Championship, played in six consecutive Ryder Cups from 1993. He tasted victory on his first appearance, which came at The Belfry, after pairing with Tom Kite to beat Seve Ballesteros and Jose Maria Olazabal in the foursomes and winning a crucial singles match against Costantino Rocca on the last day. After the miracles and the 17th green shootouts, and all the gut-wobbling drama that is usually the staple of a Ryder Cup crescendo, it all ended uncharacteristically easily. This was the Gimme In The Glen: Keegan Bradley conceding Jamie Donaldson’s putt halfway down the 15th fairway to confirm the point that Europe needed, with almost half the matches still out on the course and almost half the course trying to get to that match. The climax was not short of romance, though. To a list of unheralded names to have sealed the critical point in a Ryder Cup – Philip Walton, Jose Maria Canizares, Paul McGinley – we can now add Donaldson; 39 next month, on his competition debut, a player who had to wait until his 37th year for his first European Tour win. Sometimes these showdown Sundays can feel like the best house party in the world. You’re having a great time wherever you are, but the noise and cheers from just down the corridor always make you slightly anxious you’re in the wrong room. They can also make you feel short of breath and clenched of gut. What did those shouts indicate? Why the massed groans from beyond the trees? Only early in the afternoon was that the case here, just before 1pm when the US were up in five of the seven matches in progress. To come from 10-6 down overnight, the US needed everything to go for them and then a little bit more. That appeared to be happening when 21-year-old rookie Jordan Spieth was three up on Europe’s lead-out man Graeme McDowell and Hunter Mahan led the home side’s most successful player, Justin Rose, by four. On the seventh, Spieth had a makeable putt to go four up himself. He missed, and with it the charge began to slow. Europe recovered in glorious fashion from trailing the USA 2½-1½ in the opening morning fourballs to construct a 5-3 overnight lead at Gleneagles courtesy of a swashbuckling performance in the foursomes. European captain Paul McGinley was left drooling after an indifferent performance on the opening morning in Scotland was eclipsed by watching his eight men going unbeaten in the afternoon. Jamie Donaldson and Lee Westwood completed a two up win over Jim Furyk and Matt Kuchar, Justin Rose and Henrik Stenson enjoyed their second win of the day with a 2 and 1 success against Hunter Mahan and Zach Johnson. A birdie-birdie finish enabled Rory McIlroy and Sergio Garcia to somehow escape from their match against Jimmy Walker and Rickie Fowler with a half before Graeme McDowell sunk a longish birdie on the 16th hole as his partnership with Victor Dubuisson saw off Phil Mickelson and Keegan Bradley 3 and 2. “I think that half was as a good as a win,” said European captain Paul McGinley. Westwood, playing his ninth Ryder Cup, and rookie Donaldson played some of the best golf of the day to beat Furyk and Kuchar 2-up in the alternate shot format. Rose and Stenson got their second point with an impressive victory having earlier hammered Bubba Watson and Webb Simpson 5 & 4. Dubuisson, another debutant, and McDowell were too strong for Mickelson and Bradley, who had beaten world numbers one and three McIlroy and Garcia on the last hole in the fourballs. Europe’s strongest-looking team were off the pace almost all day but finished with two brilliant birdies on 17 and 18 to salvage a half against rookie Walker and Fowler, who themselves came from three-down to halve with Thomas Bjorn and Martin Kaymer in the morning. The US seeking a first win on foreign soil since 1993, had taken the morning fourballs 2-1/2 points to 1-1/2 after the gusting conditions left many players struggling. That group did not include American rookie duo Patrick Reed and Jordan Spieth, however, as they silenced the usually ebullient Ian Poulter and Scottish new boy Stephen Gallacher with a crushing 5 & 4 win. Defending champions Europe ended the day two points ahead of the Americans with Saturday’s fourballs and foursomes to come before Sunday’s 12 singles matches. It was different in the morning with the United States, inspired by a brilliant display by rookie duo Reed and Spieth, leading by 2½-1½ after a topsy-turvy opening fourballs session in the 40th Ryder Cup. Holders Europe, helped by a magical stroke from Sergio Garcia who holed out from a greenside bunker at the fourth, held the upper hand early on but the visitors fought back strongly. Spieth, 21, and Reed, 24, forming the youngest partnership in the history of the biennial team event, crushed out-of-sorts Ian Poulter and Scottish debutant Stephen Gallacher 5 & 4 in match three. The first contest was dominated by Justin Rose and Henrik Stenson as they swept to a 5 & 4 win over Bubba Watson and Webb Simpson. Thomas Bjorn and Martin Kaymer let slip a three-hole lead to halve their match with Rickie Fowler and Jimmy Walker while Phil Mickelson and Keegan Bradley beat world number one Rory McIlroy and Sergio Garcia one up in the final match. “Something I’ve learned from Jose Maria Olazabal, from Monty (Colin Montgomerie) and from the guys I’ve been vice captain under and guys I’ve played under is that you’re not going to win every session,” said McGinley. “We’ve lost more sessions than we have won in recent times but it’s important not to panic and it’s important to look at the 24-hour period rather than just one session and then assess and go again. The US now face an uphill battle if they are to claim their first win on foreign soil since 1993 when Watson first captained but the veteran was in no mood to concede. US Ryder Cup captain Tom Watson says his team will be targeting Europe’s best player and talisman as they seek to overturn golfing logic and recent history this week. The US have not won on European soil for 21 years, while the home team count in their ranks the world’s top-ranked player in Rory McIlroy and three of this year’s four major champions. But Watson, returning to the country where he won four of his five Open championships, believes his unheralded team can bring down both McIlroy and Europe’s great inspiration two years ago, Ian Poulter. Watson, 65, said: “When you beat the stud on the other side, it gives a boost to your team. “The bottom line is that if each of your players wins more than they lose, we win as a team. That is what I have told our team. Watson, the oldest captain in the contest’s 87-year history, wants revenge for the shock defeat at Medinah in 2012, when they led 10-6 going into the final day’s singles only to lose eight and draw one of the 12 matches as a Poulter-led Europe pulled off one of the great Ryder Cup comebacks. Only five of that American dozen have made it to Gleneagles, but Watson – captain when the US won at the Belfry in 1993 – said: “I have made it very clear to them that this trip is a redemption trip. “Those players that played on that teamâ€¦ it’s time to make amends and try to redeem yourselves from what happened in 2012. I think it’s a motivation rather than a negative. In addition to McIlroy, winner of both the Open and US PGA this summer, Europe’s team contains three more of the world’s top six ranked players and US Open champion Martin Kaymer. Only once since 2002 – at Valhalla six years ago – have they lost the Ryder Cup. “I think we’re slight favourites,” said captain Paul McGinley. “We’re not overwhelming favourites. McGinley, 47, said his side should not be “afraid” or “ashamed” of being favourites – and warned they face a “very tough contest”. He added: “The guys have worked very hard to be in the position they are.